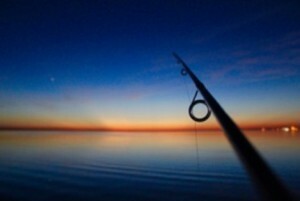 The Gulf Coast and specifically Port Aransas fishing are world famous for its premiere catch. Visiting fisherman can choose from bay or offshore fishing. Additionally, the jetties provide an ideal location for Port Aransas fishing. Your catch of the day can end up being trout, redfish, flounder, red snapper, tuna, marlin and even shark! Whether you are a serious angler or weekend warrior, there is always great fishing in Port Aransas! Come to Port Aransas, and let one of our areas Texas fishing guides or party boats help make your Texas fishing vacation a success. Here are the fishing and recreational activities charters who are partner in the Sandpiper W.A.Y co-branding program and will offer Sandpiper guests a discount on presenting their W.A.Y card available at the front desk. Party boats (Gulf Eagle, Pelican, Kingfisher) for deep sea fishing. Reservations required. 8-hour trips only. Bay-Fishing and Dolphin Watch Nature Tours. Gulf fishing and recreational activity charters. Must be reserved in advance. Bay, fly fishing, kayaking, boat tours in Port Aransas, Rockport for half or full day trips. Fishing, dolphin watch, birding, sunset/sight-seeing aboard a power catamaran. Fishing in Corpus Christi Bay, Redfish Bay, and the flats around Mustang Island. Bay fishing, surf fishing, offshore, duck hunting, wade fishing and Whooping Crane Tours. 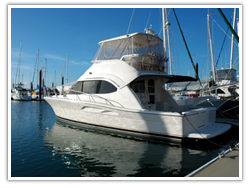 Sport-fishing, spear-fishing, and diving aboard the 36 foot Sport Fisherman. Dolphin watches & sunset cruises. Fish on the Biggest Offshore 6pk Charter Boat on the Island; docked at Fisherman’s Wharf.